Daytona Beach Shores is a very popular beach community in Volusia County located on a barrier island. This low crime rate community sits between the Atlantic Ocean and the Halifax River Lagoon which is a part of the Intracoastal Waterway. The area offers single family homes, townhomes and condos for all price ranges. "Life is better here"
Stunning white sandy beaches, warm sunny weather, world-class race events, and attractions draw visitors from all over. Paradise is affordable and attainable for families and retirees. 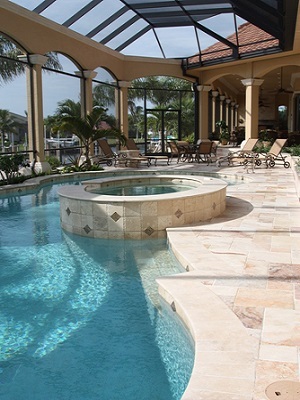 There are great deals for beachside income properties and vacation rentals for family vacations. 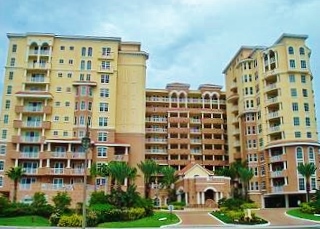 In fact our condos are some of the most affordable in the area. Vacation rentals in this area are also in high demand, making your purchase a sound investment opportunity. Daytona Beach Shores is also known for its condo market. Homebuyers can expect to find newer high-rise condos with sleek contemporary designs, to luxurious oceanfront condos with deluxe amenities, panoramic views, and oversized balconies. A1A or Atlantic Avenue is the main road that serves the area, and is where you'll find the majority of the luxury oceanfront condos. When it comes to real estate, it's all about location! Residents enjoy access to premier shopping, dining, entertainment, medical facilities and transportation. All are conveniently close to most Daytona Beach Shores homes, and offer an endless list of things to do. A visit to one of many public beaches is a must. You'll see everyone from families to surfers, enjoying the miles of shoreline and time spent basking in the sun. Prefer the outdoors? Home to some wonderful parks including: McElroy Park, Sundown Park, and Max Samuely Park. The famous Sunglow Pier is a favorite hangout for fishermen, swimmers and sightseers alike. 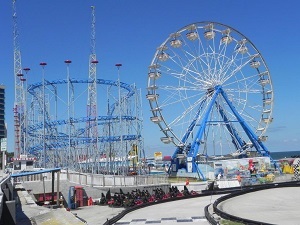 Daytona Beach Shores also hosts many visitors and residents during special events such as Race Week and Bike Week! There are many hotels and motels for vacationers to stay including The Shores Resort and Spa, a premier destination with great ocean views.